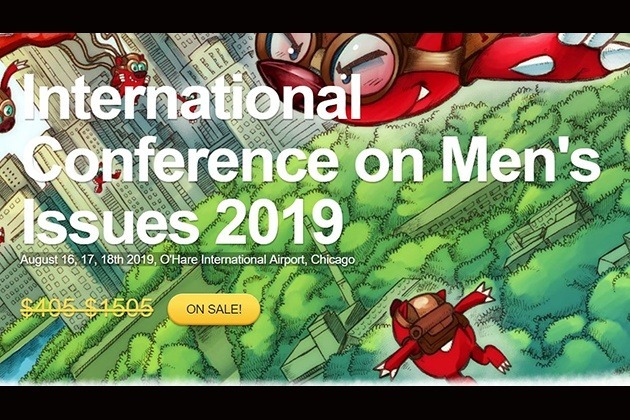 Hello all, It's much shorter notice this year due to unforeseen events but I'm again asking for your support to video ICMI19 in Chicago on 16-18 August. This ICMI will be different from the others with a new form of viewing choice. I can't say more than that but it will make equipment choice complicated and possibly heavier with extra baggage allowance. This may cause me to make a stretch target request, but not if I can help it. Same deal as with all other ICMI's videos. That's 20 videos in total. Your name in the credits of every video & special producer credits for the largest donations/donors. I would also like to let you know that your generosity has allowed me to film several more events last year & this year. I'll make a link list of them so you can see your money at work. I'm planning to keep going with more films & am in the process of hopefully making a documentary on parental alienation and also doing a short film in April about male victims of domestic violence for From The Darkness. also just completed a UCL video for Male Psychology Network re false allegations with Margaret Gardener. MPN have also asked me to film their conference at UCL in June. Everyone of you should be proud to be part of this. The world is watching through your kindness & giving. Your ICMI funding allows me to get involved in other men's issues projects. I will post them as they happen. I'm very greatfull for your ongoing support. It would seem the thought of seeing an ICMI2019 speaker naked on a motorcycle is not what people want to see. If we DON'T reach at least the 2/3 mark by Sunday 31st March, I WILL publish the picture. We are nearly at the 2/3 mark. A fantastic achievement in such a short time. As an incentive to hit 2/3 by this coming Sunday 24th March, I shall reveal in all it's glory, this photo of a certain ICMI2019 speaker, naked on a motorcycle. He begged me not to do this last year but I think it's way past time.